This year we welcome three new charity partners at Insurancewith – and we couldn’t be more excited! Each of these charities come with their own merits and are making leaps and bounds for their causes, so we cannot wait to get involved. Lucy Rayner, an adored daughter, friend, sister and girlfriend, unexpectedly took her own life aged just twenty-two. 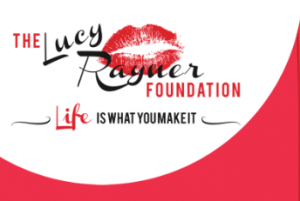 The Lucy Rayner Foundation was set up as a legacy to Lucy and aims to raise awareness of the signs of depression in young adults through education. The foundation holds workshops and seminars in addition to campaigning and holding events, with the aim of inspiring and supporting a change towards society’s perception of mental health, and so reducing the number of young adults committing suicide. The foundation provides a number of services including free counselling, support groups for people caring for family or friends with mental health issues, monthly coffee mornings for people who find daily life a struggle and bereavement support- the list goes on. Jenny Rayner, alongside her husband Stewart and daughters Emma and Rebecca, have made incredible progress in creating awareness since establishing the foundation in 2012. They have even collaborated with national charities who have the same stance and passion for helping those with mental health issues, including; MIND, Samaritans, Cruise and the YMCA. Lucy will forever live on through the foundation and we at Insurancewith are honoured to be part of this journey, making a difference and helping those whose lives are currently dictated by their mental health. Together we can create change, together we can save lives. Chris Lewis founded YoursimPal after being diagnosed with stage4 Mantle Cell Lymphoma (a rare blood cancer). After being told he had just 6 months to live, he underwent aggressive chemotherapy as well as a stem-cell transplant. The next few years consisted of relentless hospital visits due to a number of serious complications. Chris recognised that ‘cancer poverty’ was resulting in many vulnerable people within society feeling alone. Mobile communication is a necessity to ensure cancer patients do not isolate themselves, however Chris recognised that the high cost associated with using a phone on a daily basis can make it difficult to justify. Chris felt so passionately about this issue that he created MysimPal, a unique service providing free pre-paid sim cards to other people living with cancer. SimPal’s aim by 2020 is for everyone diagnosed with cancer in the UK to be informed about simPal’s services and support. Poverty is something discussed in Parliament and in the media on a regular basis, however cancer poverty lacks coverage. At Insurancewith we believe that this support can create a great change within the community, by encouraging discussions, raising money and improving awareness of ‘cancer poverty’, reminding people they are never alone. The Transplant Sport charity was founded in 1978 by Maurice Slaplack, a Consultant Surgeon, who brought together his own patients and other transplant receivers to participate in the first Transplant Games in Portsmouth. Maurice wanted to raise awareness of the need for organ donations, and to encourage transplant recipients to lead active lifestyles. Most importantly, Maurice wanted to show appreciation for those who have donated. Transplant Sport has continued to grow and has since become the largest national charity to encourage an active lifestyle after a transplant, as well as promoting the organ donor register. The charity hosts yearly ‘British Transplant Games’, where people who have received a transplant can participate in over 20 different sports (all ages and abilities welcome) and celebrate life together. Here at Insurancewith, we are passionate about spreading the message of organ donation and giving someone a second chance at life, this is why we value our partnership with the Transplant Sport charity so much. As a travel insurer that specialises in providing affordable cover for those with medical conditions, we know that life can sometimes be challenging (not to mention the additional strain on your finances). So, here at Insurancewith we are always looking to support new charities and help make a change for the better – get in touch if there is one that you’re particularly passionate about too!